Ponting was a professional photographer and was with Scott's Terra Nova Expedition, 1910�12. Ponting was born in Salisbury. His father was a banker, so it will be of no surprise to learn that Ponting was first employed in a bank; he lasted for four years. From there, attracted by the wild west stories coming out of America, Ponting moved to California where "he worked in mining and then bought a fruit ranch in the 1890s." He married in California in 1895 and the couple had a daughter in 1897. It would appear that Ponting developed an interest in photography, likely when he was younger, back in England. His interest only grew in California. During 1900, with his farming operation losing money, Ponting determined he could make money in the business of photography. His new business brought him abroad on a freelance bases: Burma, Korea, Java, China and India.1 His photos proved to be a world wide success. It can only be concluded, that at the time he was gearing up for his campaign (Terra Nova Expedition, 1910-1913), Scott was looking to document the matter in the best manner possible by the best persons available. 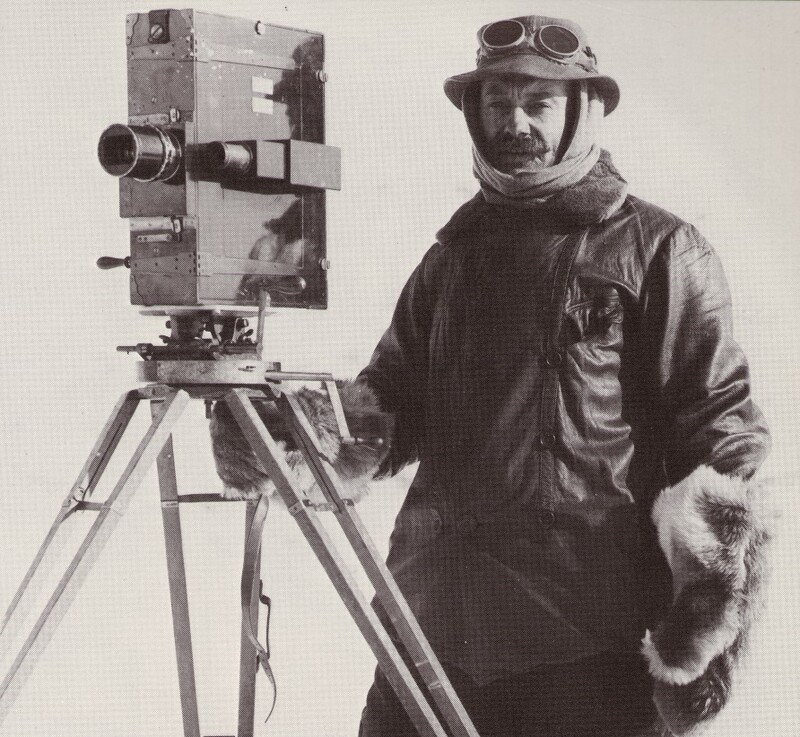 Though Ponting reaped a rich harvest of photographs of Scott and the others, he made them, only before Scott and his selected men headed out over the ice and snow to the south-pole, 900 miles away. Once the caravan headed out, Ponting's work was done. While Scott and his men were out on this very, very long expedition, in February, 1912, having spent 14 months there, Ponting, with eight others, boarded the Terra Nova to return, eventually, to England.